While in high-school one of the odd skills I somehow had the time and wherewithal to acquire was didgeridoo construction. 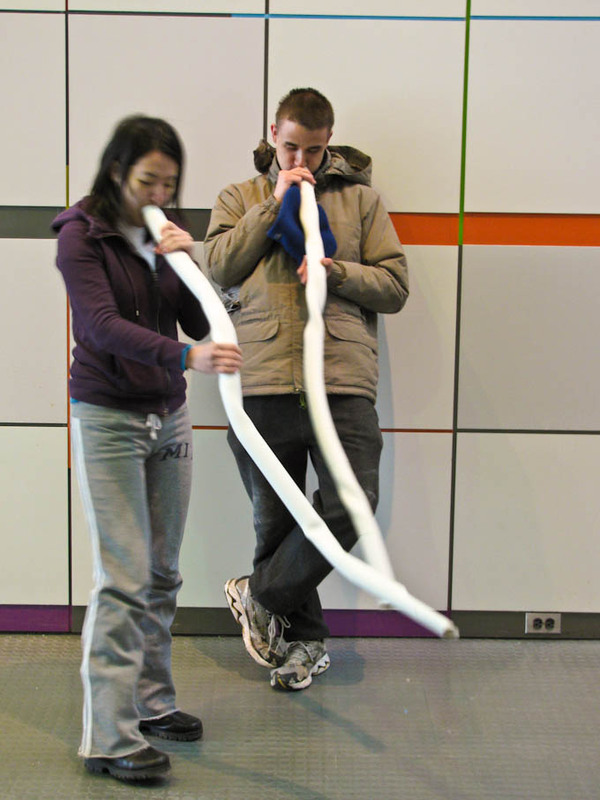 But what good is building a didgeridoo if you can’t circular breathe? I’m probably one of the few people in this world that can proficiently circular breathe, but really can’t play the didgeridoo as an instrument. But, the skills ended up coming in handy. 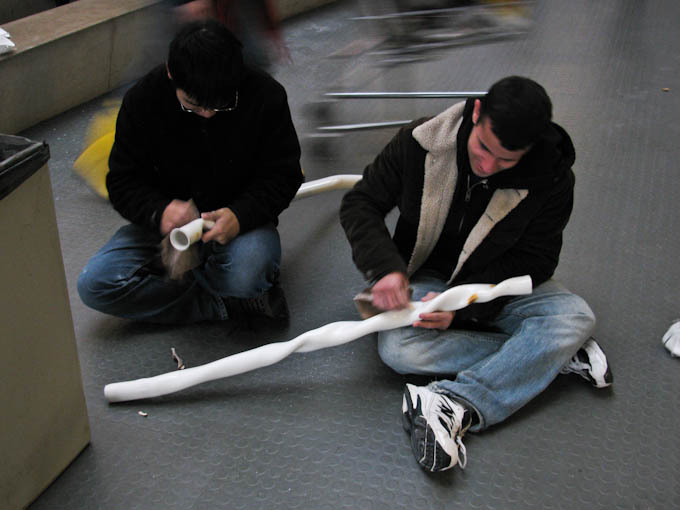 I had the great fortune of teaching the skills to eager young people both during IAP (Independent Activities Period) and during a wonderful program called Splash, both at MIT. I usually taught the class in three parts: didgeridoo construction, how to play the didgeridoo, and circular breathing. I created a video summarizing the construction technique I created (tweaked version of already existing techniques). At some point I should record the system I created for learning to circular breathe. I’ve actually seen some people acquire the skill in as little as a couple hours. Its all good fun, though I’m not too sure about those PVC fumes. If you try this at home make sure to do it outside with a mask.